Star Prince Ned Nwoko Gives N5million Lifeline To Ailing Former Football Star, Christian Chukwu - WELCOME TO CRUZ9JA! Responding, the Star Prince said ” I love sports and I encourage talented sports men and women. Christian Chukwu made Nigeria proud along side his then team mates. 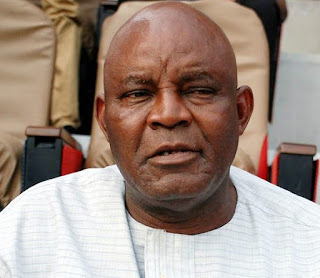 It is unfortunate that Christian Chukwu is in this medical situation. I pray he gets well soon. To this end, I am making available the sum of 5million naira to support his medical need and cares abroad” the senator elect, stated. Prince Ned Nwoko made the pronouncement this morning at his Abuja home , when he read about the footballer’s predicament in a national daily. Responding, the Star Prince said ” I love sports and i encourage talented sports men and women. Christian Chukwu made Nigeria proud along side his then team mates. It is unfortunate that Christian Chukwu is in this medical situation. I pray he gets well soon. To this end, I am making available the sum of 5million naira to support his medical need and cares abroad” the senator elect, stated. S.A. Media and strategic communication to Hon Prince Ned Nwoko.